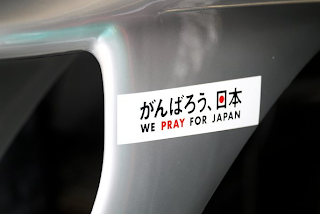 With practice for this weekends Formula One Grand Prix of Malyasia about to get under way I figured this was a good time to share a bit of what some of those in F1 are doing to help Japan and raise awareness. 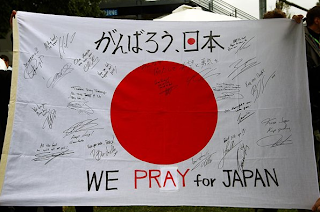 Amidst all the excitement of the season-opening Australian Grand Prix, Formula One racing didn’t forget those affected by the recent earthquake and tsunami in Japan. 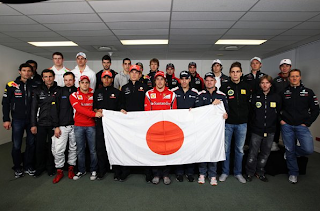 Taking a break from the on-track action, a host of Formula One stars paid tribute to the Asian country in a specially-recorded video message. Watch the video here. I like the repeated reference in the video to "keep pushing". Spoken like a true racer. 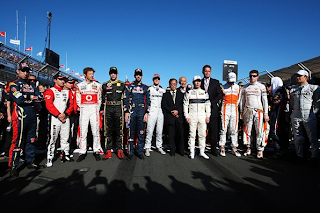 Amongst the famous faces featured are Red Bull team mates Sebastian Vettel and Mark Webber, McLaren’s Lewis Hamilton and Jenson Button, Ferrari’s Felipe Massa, Williams’ Rubens Barrichello and Sauber’s Kamui Kobayashi. Martin Whitmarsh, Christian Horner and Stefano Domenicali, team principals of McLaren, Red Bull and Ferrari respectively, also sent their best wishes. 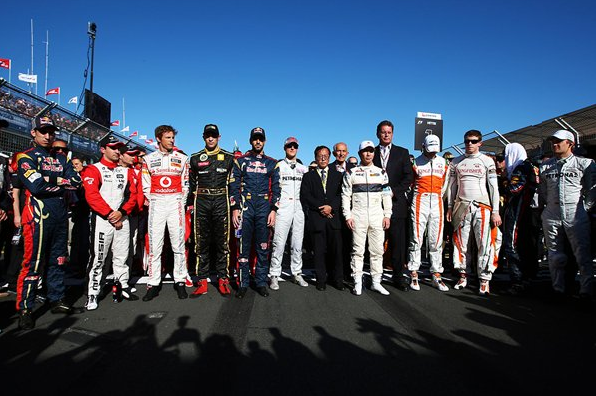 Over the course of the Melbourne weekend, all the teams ran with bespoke stickers as a mark of respect to the casualties of the disaster, and a minute’s silence was held on the grid before the race started. 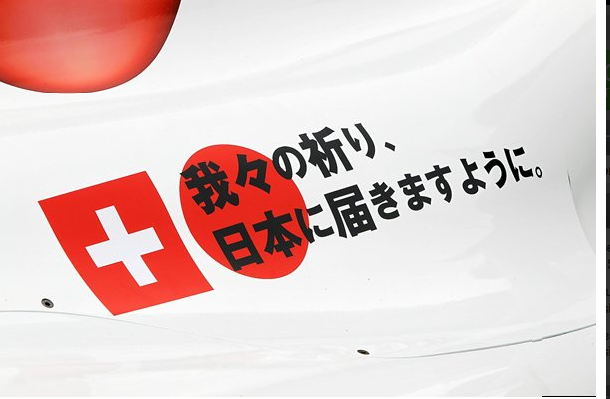 Below are the decals seen on the Mercedes GP MGP W02 & Sauber C30. Let's all continue to do what we can to HELP JAPAN. Vintage Workwear so cute !